Here are our 10 best hotels in Tel Aviv, each of which differs from another with style, character and mood. In one of the old mansions of the bohemian neighborhood of Neve Tzedek there is a cozy KANN boutique hotel. 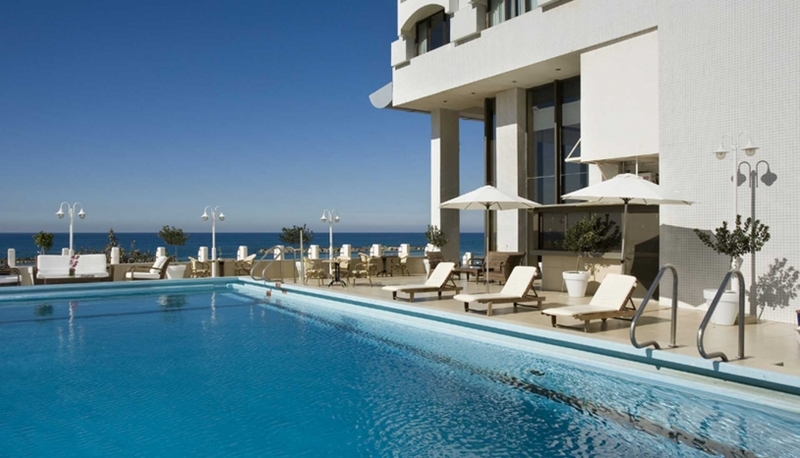 This area residents and visitors of Tel Aviv like the hotel for its special intimate atmosphere. The designer clothes, shoes, accessories and art stores are nearby. It is worth noting that it is only 10 minutes on foot to the hotel. The guests are offered a complimentary breakfast each morning in the popular bistro is located just a minute's walk. Amenities: Wi-Fi, satellite TV, an espresso machine. Using the personality and work of this remarkable man as a source of inspiration, the owners have tried to create something more than just a hotel. As a result of this, The Diaghilev turned out not only to affordable place for tourists, but also to a great art gallery, which regularly hosts exhibitions and events of renowned artists. It should be noted that at the exposition is replaced every few months, which attracts not only hotel guests, but also the local bohemia. The boutique hotel has 54 rooms, many of which are designed not only for couples or businessmen, but also for families with children. The interior is quite minimalistic, not overloaded with unnecessary furniture and details. It offers a light breakfast, and there is a space for work and business meetings. This unique boutique hotel was created in urban style and is located within walking distance from the best beaches of Tel Aviv and the city promenade. The hotel was specially designed to underline the spirit of the coast and the active life which does not cease, day or night. Each room is laid out so that there is enough space and light. The interior is dominated by beige palette, clean lines, a minimum of furniture, oak parquet. It is worth noting the high quality of bed linen, towels and bathrobes. The hotel serves one of the best breakfasts in the city, which is popular not only among the guests but also the locals. Services: Wi-Fi, satellite TV, music selection, concierge, breakfast, laundry and dry cleaning, mini-bar, safe, Dead Sea cosmetics. Rothschild 71is located in one of the buildings in the Bauhaus style in the vibrant boulevard of the same name. 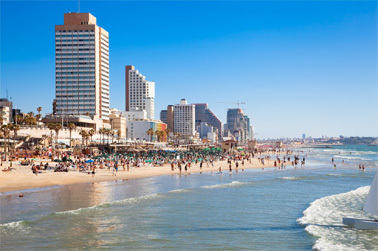 Location of the hotel is very convenient, because the famous beaches of Tel Aviv begin just a ten minute walk away, and the hotel is within walking distance of the most popular cafes, restaurants and bars, and he Rothschild Boulevard, which is the center of business and cultural life of the city. The lobby is filled with warmth and comfort, so many guests feel like home here. Every day they serve free champagne and wine, and in the morning free coffee, juices and homemade cookies. You can also take a bicycle from the hotel and make an unforgettable walk through the bustling center, because Tel Aviv is one of those cities where most everything is thought out for cyclists. Interesting fact: One of the suites is constantly occupied by the descendants of its founder family. At the moment Rothschild‘s great-great-grandson lives here. Services: complimentary high-speed Wi-Fi and HDTV, safe, mini-bar, concierge, massage, parking, business center, bicycle.